You are here: Home>Products>API 5CT Casing Tubing Coupling And Pup Joints>Pup Joints>API Standard Pup Joint From 2-3/8" To 4-1/2"
API Standard Pup Joint from 2-3/8" to 4-1/2"
6. Feature: with oil on surface to avoid corrosion, high corrosion resistance and long running life. 8. Our tubing pup joint conform to API 5 CT standards, Length: 2FT/3FT/4FT/5FT/6FT/8FT/10FT/12FT and we can make different lengths and sizes according to the customer's requests. 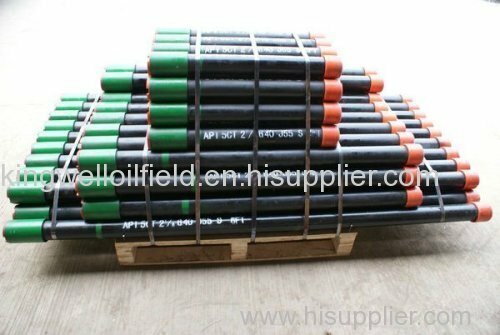 Our TUBING PUP JOINT cover all API Standard scope from 2-3/8" - 4-1/2" with strickly inspection, which all the goods should be checked one by one before packing. Euipped withthe world-class facilities and professional laboratory technicians, we pay more attention the quality of every products. 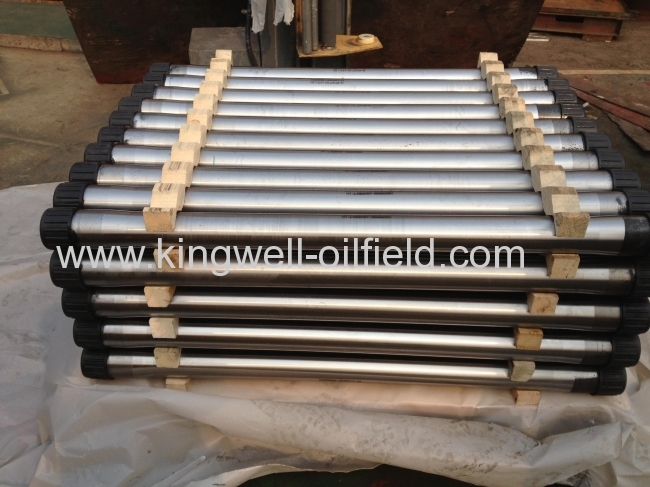 Xi'an Kingwell Oilfield Machinery Co.,Ltd is a highly reputable supplier for oilfield equipment and services to Oil & Gas industries and provide complete solutions. With over 10 years developing, we were developed from the beginning drilling service to manufacture factory who produce OCTG, DST tools and Solid Control products. KINGWELL have experienced team, stronger enough to meet any challenge, we do believe honest is the base of business and cooperation, our aim is to build solid relationship with any part of honest. kingwell can provide highly efficient services to its clients resulting in accurate and timely deliveries at the best prices. 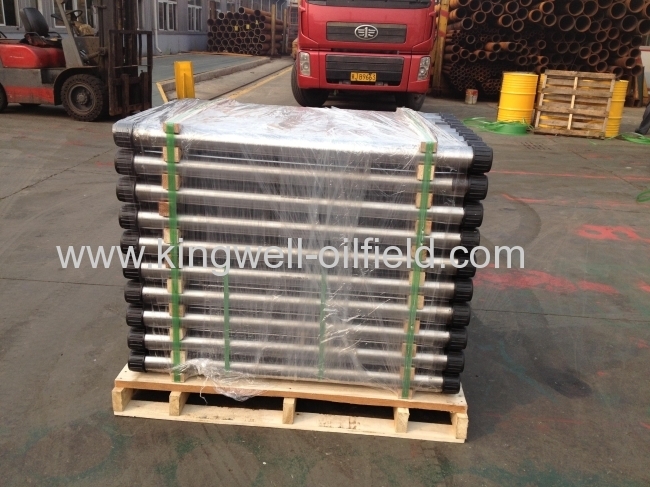 KW is a professional supplier for oilfield products according to the API standard. 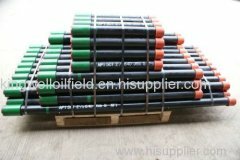 We exporting ALL KINDS OF OILFIELD MACHINERY AND TOOLS with super Quality and Competitive Price in CHINA. Now, Our Pup Joints have exported to USA, Egypt, India and UEA , etc with high quality and short supply and good service. Ourcouplings has got good reputation home and abroad Here we got some prise as follows. Generally, machines are in stock, warehouse machine need 3 days delivery for paint and package, tell us: what colors u need. 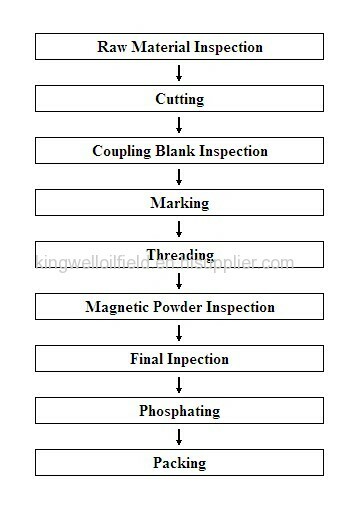 If every material is ready, 10 days finish the goods. If material is not ready,30 days to delivery. Because we still have other order to do at the same time. About Logo:KW, we can produce according to customer requirements. About Quality: All the products with API, low price are not -API, cannot be exported. About Warranty: Warranty period is 1 year after installation. About Payment: 30% of the advance payments, delivery time, please pay 70%. 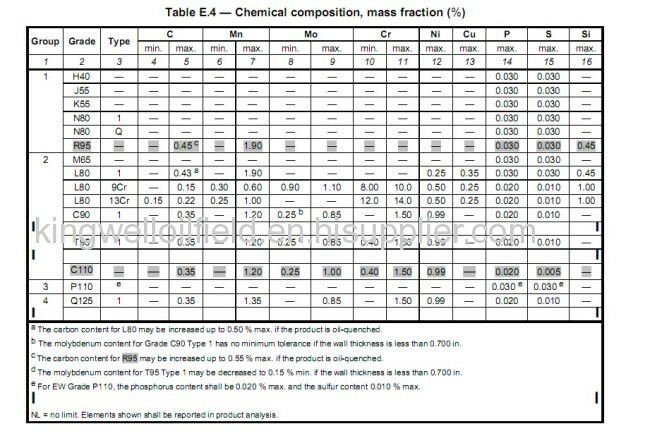 E: The chemical element ,Mechanical properties. We believe in Customer delight, achieved by the supply of Quality Products & Services and Continual Improvement in our Manufacturing Processes for timely delivery at competitive prices. We work in a professional, competitive, and cost-effective manner consistent with the Customer requirement. Kindly let me know if you have any interest or enquiry about ourproducts. You are also always welcomed to come to our factory for a visit at your convinent time. We will offer you a good price and show you our best service.